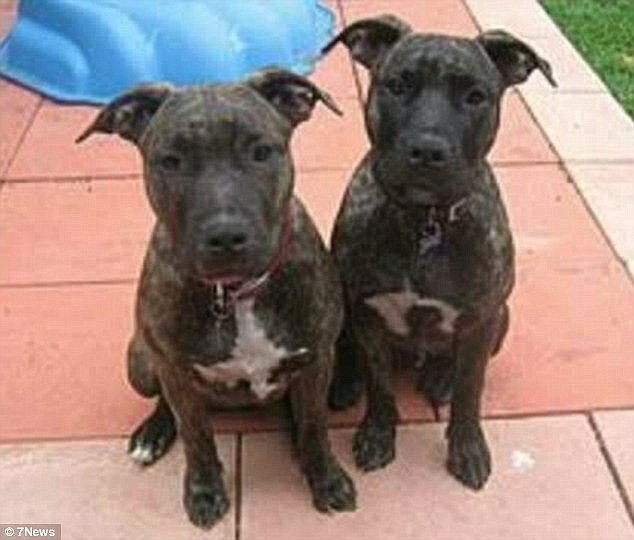 The girl was viciously mauled by the two dogs while she was playing at a Perth park on September 9, suffering serious injuries to her face, head and right leg. The injuries on her leg exposed her muscles and tendons and the bites left her with multiple puncture wounds to her skull. The dogs' owner allegedly did not have the two dogs on leashes and is said to have told the group of children 'if you see my dogs coming make sure you stand up'. She allegedly did not intervene and left the park without leaving any details. After dragging his sister away, the teenage boy lifted her above his head to keep them away and carried her home. 'If my son had not put his own safety at risk and fearlessly intervened, it is likely that the dogs would have killed her,' the girl's father told Nine News after the attack. He also said he would push for law changes to see owners of dogs who attack penalised for assault. 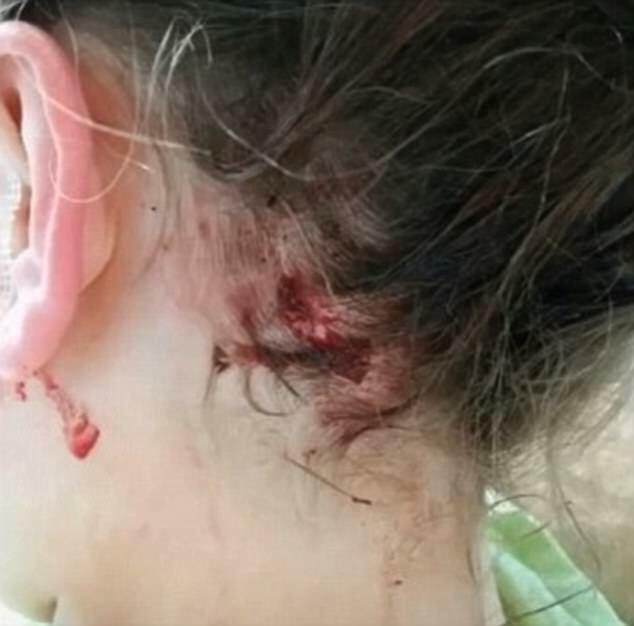 The attack came just three weeks after the same two dogs mauled a teenager in the same park, and again the owner was said to have done nothing to help. 'I was thinking 'why isn't this lady helping me? ', she can see that her dogs are hurting me,' Celeste, 17, told Nine News. The dogs were put down after the owner surrendered them to the council after media attention to the case. Her lawyer Terry Dobson then told Radio 6PR the local mayor needed to 'keep quiet' about the incident. 'He just keeps yapping on about it, no pun intended, but basically he's like one of those little fluffy white things that just run around he just keeps yapping he should be quiet. My client is a responsible dog owner. She's horrified,' he said. Bassendean Mayor John Gangell responded by explaining he was asking for the owner to come forward because as far as he was aware the owner only presented herself once she was outed by the media. Police initially said it was not a matter for them and referred the incident to the City of Bassendean, but now appears to have changed their mind. 'There is no offence police can charge the person on. Local Rangers have powers to charge people in regarding to dog attacks,' the WA police said at the time. The woman was due to appear before the Midland Magistrates Court on November 25. Such sweet looking nanny dogs! Gah. What buffoonery!!! " we don't put down child molesters or murderers". Well #1, we should and # 2, comparing a Pitbull to a human criminal is irrelevant. C'mon lawyer! Hey, two people were mauled, and the mayor keeps yapping like a harmless fluffy white dog. Meanwhile, the "responsible" owner did not help, did not contain her dogs, and did not give her personal info after the attacks.